A new Stevens process produces truly random numbers, which are critically important for artificial intelligence, security and medicine, by leveraging the curious properties of quantum mechanics. In a clean-water crisis, new Stevens research examines natural grasses and electrospun fibers as effective filters for water and soil. New Stevens research indicates that even just the *smell* of a cup of coffee can improve your analytic reasoning and math scores. A newly developed, AI-powered cyberattack can steal data without even touching it. Stevens researchers created the attack in order to learn more about the dark side of AI. A Harvard Medical School researcher joins Stevens, bringing insights and research that could help build early detection of a devastating disease. Each summer, more than 100 Stevens undergraduates travel abroad. But it's not just sightseeing: many perform pathbreaking research in such areas as quantum computing, artificial intelligence and renewable energy. A Stevens research team unlocks new compounds that offer promise in the race to develop new breast cancer medicines and therapies. New ‘virtual padlock’ technology developed by Accenture and a Stevens researcher makes the blockchain editable for the first time. New Stevens research demonstrates that social media chatter can have either a tiny or huge influence on cryptoccurency valuations. It all depends on who is doing the communicating. A collaboration with the prestigious Cleveland Clinic is producing new virtual reality (VR) interfaces that allow patients to begin training themselves to control prosthetic limbs. Stevens researchers, with the support of the Department of Defense, help develop cleaner, more energy-efficient military operations for the nation. DARPA-sponsored Stevens research explores the ways computers talk to us and create. Stevens researcher works to improve therapies for Parkinson's and other neurodegenerative disorders. Stevens researchers are working to help robots make better maps as they navigate, explore and inspect areas too inaccessible or dangerous for humans to inspect. Stevens 'passive acoustic' technology uses sound to improve border security, manufacturing processes and pest control. Stevens Associate Dean Jeff Nickerson documents the remarkable power of crowd-sourcing ideas. Stevens was founded by the American pioneers of rail and steam transportation, and today we continue to address society's pressing challenges daily through focused research. From health informatics to safer bridges, from homeland security to coastal forecasting and planning, from infrastructure, cybersecurity and vessel design to smartphone applications that change the game, we are building a safer, smarter world in collaboration with industry leaders and government agencies. The hands-on learning environment created by our world-renowned faculty, exciting research programs and state-of-the-art laboratories and research centers attract students from all over the world. Explore the many ways students engage in research at Stevens. 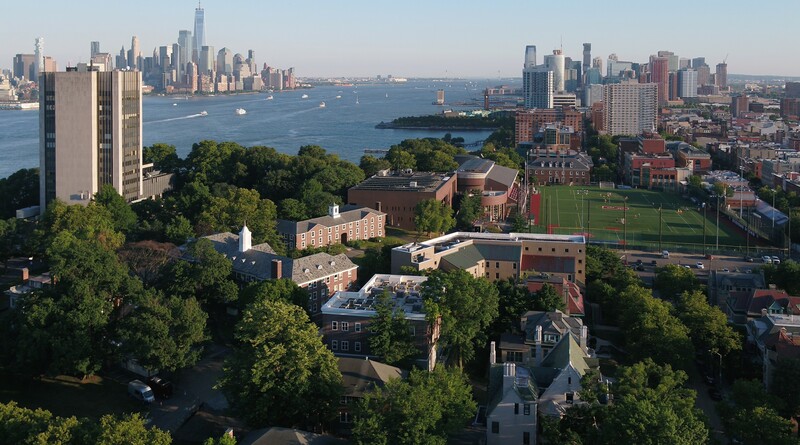 ​Research is central to the mission of Stevens Institute of Technology. Across the university, faculty and students work in conjunction with experts from industry and government to conduct an extraordinary amount of high-quality research. Stevens has chosen to exert particular energy and focus on 6 specific areas that will be critical to national and global planning, governance, infrastructure, safety, security and well-being. The university possesses leading expertise in these areas. AI and machine learning are embedded in multiple areas of Stevens research, including defense, security, medicine and transportation. We make contributions to clinical and medical research; healthcare policy; and the pharmaceutical, biotechnology and medical device industries. Stevens research explores the effective use of big data as it reshapes the modern world. Stevens houses two National Centers of Excellence -- advanced research facilities that lead national research, development and education efforts to address crucial global needs. The MSC provides education programs and conducts research to enhance port and maritime security. The DoD awarded Stevens a contract to operate SERC to facilitate the research of complex defense systems, services and enterprises.